"The Gemstone Readings of Edgar Cayce." Edgar Cayce, assisted by his loyal stenographer, Gladys Davis, recorded over 14,000 psychic readings. In all these readings, he recommended gemstones more than a hundred times to his clients. Even though seldom mentioned, they hold some interest to many, and even occasioned the publication by the Association for Research and Enlightenment, Inc., of Gems and Stones (Virginia Beach: A.R.E. Press, 1960, Revised Edition, 1979), subtitled Scientific Properties and Occult Aspects of Twenty-Two Gems, Stones, and Metals, a booklet which has gone through many printings. A new age of interpretation of all of Cayce's readings opened when the same ARE published on a CD-ROM disc the entire set of readings and other ancillary materials, opening up to one and all these records. 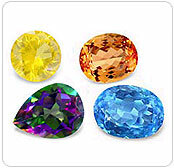 This essay examines the meanings of the gemstones readings available in this source. Human beings have a long and ancient fascination for gemstones so it is not surprising to find Cayce speaking of them, although precious and semi-precious gemstones do not figure in other recent revelatory traditions, such as those of the Mesmerists and Spiritualists of nineteenth century America. It can be assumed that Cayce's comments on the esoteric qualities and uses of gemstones predicted the present-day interest in them. Furthermore, gemstones have a long history of interpretation around the world. The best recent book to present a succinct account of gemstones in the western tradition is Barbara G. Walker, The Book of Sacred Stones: Fact and Fallacy in the Crystal World (San Francisco: Harper & Row, 1989). However, the title attribution of "sacred stones" is inappropriate since the author is skeptical about the esoteric significance of gemstones, but at least she accurately reports the traditions held about them in the past, and she recites what she considers the mistakes of the present day New Age interpreters of these stones. Her descriptions of the stones are scientifically based, and she often remarks about the beauty of the stones but does not in the least believe in their esoteric and sacred meanings or possible powers, contrary to Cayce's interpretations. For anyone looking for a single reference on the stones mentioned in Cayce's readings, her book is a primary resource. The, first stirrings of the now well known "New Age" brought the Cayce booklet on gemstones out into print followed closely by another published a year later by Doris M. Hodges, Healing Stones (Perry, Iowa: Hiawatha Publishing Co., 1961). Hodges holds no claim to having psychically received the substance of her work, but her treatment of the healing influence of stones signaled the growing flood which was to follow as New Age writers discovered channeling and esoteric doctrines. One of the earliest booklets to present a revealed interpretation of gemstones appeared was published in 1976, by Julia Lorusso and Joel Glick with the punning title, Healing Stoned: The Therapeutic Use of Gems & Minerals (Albuquerque, NM: Brotherhood of Life, 1976, second edition, 1985), which openly claims that the interpretations of the stones come from "channeling" during sessions in 1975-76. Since then a host of other volumes have appeared, such as Katrina Raphaell's Crystal Enlightenment: The Transforming Properties of Crystals and Healing Stones (Santa Fe, NM: Aurora Press, 1985). From healing to enlightenment, the modern age of esoteric interpretation of stones was well under way. 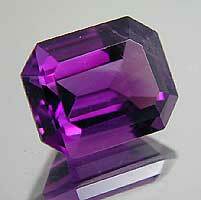 It is my objective in these pages to explore the nature and content of Cayce's gemstone readings. Immediately I must make one telling conclusion about these readings: the most prominent feature defining Cayce's recommendations of gemstones is that they almost all occur in Life Readings, and thus pertain solely to a single individual. Life Readings generally follow a certain set pattern. First, Cayce started the reading by identifying the person's records and characterizing the person's fundamental characteristics, followed by specific recommendations as to appropriate stones, colors, and other matters specifically for that person. Then followed a reading of the "astrological forces" and then descriptions of "the appearances in the earth" (i.e. past lives, starting with the latest first). He sometimes made recommendations about the past lives and summarized essential ideas, and ending with questions from the client. One conclusion about Cayce's reading strategy needs emphasis: the stones readings given were made for that person alone and were not necessarily applicable to others. There is no reason to conclude that when Cayce recommended a stone for a particular person it would have the same effect when others adopted it. Contrary to this obvious fact, both editions of the ARE booklet offer lists of stones giving "Recommended Uses of Stones" (p. 44, Second Edition), generalizing the effects of various stones. In one category, ie. "attunements," various stones are listed, for healing forces, infinity, creative vibrations, developing psychic powers, meditation, and for receptiveness. A second list makes a case for specific physical or mental conditions and the stones which will give various results, such as "general protection, prevention of personal anger, influencing the mental choices, increasing abilities during exertion, strengthening the body, and gaining self-assurance." As I read these Life Readings, the stones Cayce recommended were specifically chosen as appropriate to the past life experiences of the person being advised since each past life reading has information specific to the individual. As far as I know, Cayce did not recommend any particular stone for its application to individuals other than those to whom he gave life readings. A review of some of the features of these very specialized readings demonstrates clearly how the stones are being recommended. 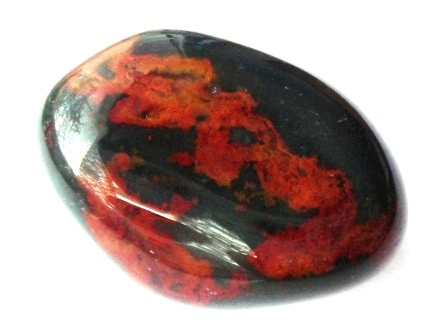 In a life reading (1616-001) for a woman born in Havana, Cuba, Cayce recommended bloodstone once in a context which was tied in with a past life. In her reading, Cayce counsels the woman to attune to the creative forces to achieve contentment and calls her a sensitive "to many varying influences," which lead her to become confused by going against her intuition. He continues that she has been influenced in various ways, and immediately recommends red stones--the bloodstone and the ruby. Later in the reading he explains further. He says that during the time when Christianity came into the Yucatan, she was a priestess and she had been exposed to blood "spilled in sacrifice," which was still tormenting her. He concludes: "Hence we find in the present experience those things that require the spilling of blood, as of sacrifices that take hold upon the destruction of others, become as torments as it were to the entity." Wearing the bloodstone would assist her to such remembering thus leading her to transcend the negative influences from the past. By contrast, in another Life Reading for a woman (1770-002), Cayce prefaces his recommendation for a bloodstone or a ruby with a theory of influences which affect the subject in her "sojourns in this material plane." Cayce notes that even the way she sounds or writes her name "the vibration, the harmonious effect of same becomes almost as a shield in the entity's experience" and thus "through the use or application of any influence then does it become so much a part of a soul...." So these influences become signs or omens, and he recommends either the bloodstone or the ruby "so that the very vibratory forces of same give...creative environs or vibrations for the entity in its use or application." Unfortunately, in the reports at the end of this reading, we find out that this woman could not afford a ruby and while she did wear the bloodstone "she noticed no particular effect. Was not aware of any vibrations." In this and other reports from Cayce's clients, we find that the person does not benefit from Cayce's recommendations. In two other readings, Cayce recommended bloodstones, one, a physical reading, without explanation (275-031) and the other (3407-001) in a Life Reading, when he said: "As to stones--the blood stone, to be sure, but in all it is the mental in self that must bring harmony...." This theme is important--that it is less the stone and more the person's intention and application which creates harmony in living. In the reading for 707-001 (a male), Cayce recommended two stones, an agate and a beryl, but prefaced his choice with the following caveat: "The astronomical, the numerological, the environs of the creations in the vibrations from metals, from stones, from those of every form, have--through the experience of the entity at times had their influence; and thus bear for the entity something that must be used as an omen, or as an experience that may aid the entity in making the proper interpretations of those things that to many an one are not lawful to be spoken in materiality--hence come only to those who have eyes to see, through the spiritual realms...." Cayce's conclusion goes: "Hence we find the agate, the beryl, should be STONES with the vibrations and under the influence that the entity may find carrying an incense to the finer self that makes for an awakening, an opening of the inner self for the RECEPTIVENESS." This sounds irreconcilably individual as recommendation, a tailored application for this particular person. In a second reading the same man (707-002) asked Cayce how he can use "vibrations from metal, from stones, which influence me" and received this answer: "As these are but lights, but signs in thine experience, they are as but a candle that one stumbles not in the dark. But worship NOT the light of the candle." When he asked whether he should carry the recommended stones, Cayce responded, "If necessary. And how may ye know? These do not give the messages! They only attune self that the Christ Consciousness may give the message!" Cayce gave a set of readings to a male, aged 40, and in the third the man asked: "Is there a stone or ring somewhere waiting for me, that I should wear? What causes the feeling that there is, and what power has such a stone in reference to one's life?" (531-3) Cayce recommended a ruby saying that it "would make for the body that not as something which would be other than the power that self attributes to same, through its actual experience." Thus, Cayce says that the power a stone for this person comes from himself, further explaining: "But the light or reflection from same, worn on hand or body, will enable the body to concentrate in its mental application the greater--through the influences such a stone brings to material expression." He goes on to explain that each stone has "its own atomic movement" but further explains that such a stone particularly matches his personhood (previously, in 531-1 Cayce had analyzed the man's past lives): "In this particular one (the ruby) there is that fitness with that which has been the experience of THIS soul, this entity, through material expression." This should clinch the matter as to whether or not Cayce's recommendations can be generalized to any one or another person. His statement clearly correlates his recommendation to what Cayce knows of this particular person. Cayce concluded: "Hence it is an aid, a crutch to lean upon. But, as has always been given, let it be a stepping stone; NOT that which thou standest only upon." A second warning! And by way of a footnote, this man wrote many letters to Cayce and, after Cayce's death, to Hugh Lynn Cayce, in which he said that he once had a garnet, which he considered to be like a ruby, and was contented when he had it but had lost it and that he missed the stone. A review of some other stones will acquaint the reader with the use Cayce made of his recommendations for gemstones, somehow based on the "records" of the "entity" which Cayce "read" from the "keeper of the records." Often no rationale is given, as when he said to a woman in a life reading: "Then, in choosing the interpretations of the records of those things that have their influence...--keep the topaz as a stone about thee always" (2281-1). He rapidly concluded the recommendation saying, "Its beauty, its purity, its clarity, may bring to thee strength. For this ye have found, and will find oft needed in thy dealings with thy problems, and with thy fellow men." Unfortunately, Cayce did not specify which color of topaz--which can go from colorless to transparent white, light blue, pink, golden and yellow--to select. To a young male in a life reading (1528-1), after commenting on astrological matters, Cayce recommended a sardonyx, in the form of "statuettes, pins, buttons, or a piece of same carried." The reason for this? "Not as a protection but rather for the vibratory forces that influence the choices made by the mental forces of the entity itself." 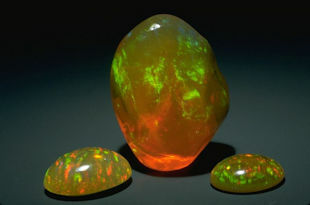 Cayce mentioned several times fire opal, presumably not the varied color of precious opal but the monochromatic bright orange stone of lesser value. To a young woman of 15 in a life reading (1193-1) Cayce told her of the opaline lights that she had around her due to a past life. He concluded: "And these [opaline lights], as we find, would be those stones that to others may bring as mystery yet the fire opal would be of the stones that should be about the entity," and he added a moral, "for the holding of that fire, that vigor, that UNDERSTANDING that makes for purification, even though the fires of the flesh must be BURNED OUT that the glory of self may be made manifest in being a channel for the glory of the living truths to be known and experienced among others." Cayce recommended fire opal for another young woman in her life reading (1406-1). He started off, as usual in a life reading, considering the "astrological urges" and the "material sojourns," and he finds "conflicting conditions that must be coordinated and correlated if the greater development--as may be possible in the experience of the entity in the present--will be carried through." He immediately says: "Colors--these become as means in which the entity may, for itself, determine much. But know as to what colors mean." He then advises her on various colors--some are "dangers," others "not always good." Finally, he identifies "lighter red, and those that turn to shades of green with the influences that make for shadings into white, then these trust, these hold to; for such individuals, such associations, may bring in the experience of the entity that which will make for spiritual enlightenment, a mental understanding, and the influences that would bring helpful influences in every experience." The stones which suit her best? He recommends that the opal and the moonstone "should be stones about the body oft." The opal should be in a neck locket but not on the hands or wrists. For rings, amulets, or anklets, he tells her to wear "the pearl with moonstone or the like...but never those upon the neck or in the ears--rather upon the extremities". The reason for such precision? Because "in the experiences of those the entity meets--of those very colors and vibrations that have been indicated to which the entity is so sensitive." My conclusion: these are very specific instructions, specific to this person at this time, but not a recommendation for one and all. Reviewing some other readings, and Cayce's comments on them, he called amethyst or agate "the omen the body should ever wear on the person--for their vibrations are the better" (female, Life Reading 500-1), which sounds like a strong recommendation that the stones could at least make a difference in her life. However, he immediately issued this warning: "But, as the body should comprehend in regard to all such influences, it is as to what the body does about same; not that it relies upon such, but knowledge that such influences aid in increasing the ability or efficiency in the periods of exertion or activity, use them rather as stepping-stones and not those things upon which the activities in a mental and spiritual plane would be builded. They are step-stones rather than foundations, then, in the experience." To my reading of this passage, it is not the stone but the person's own intention and action which attune her to her higher powers (mental and spiritual plane). In another life reading for an eighteen year old young woman (1035-1), Cayce recommended amethysts worn about the body, saying, "These in their very vibration will make for an influence that has to do with the entity in its innate and manifested expressions in its associations." However, in the reports to this reading, Gladys Davis notes that this young woman "dislikes amethysts; has given away several such stones which have been gifts to her," something possible because the reading was done in New York City. I find it noble that the Cayce records report such information rather than whitewashing what does not fit. Perhaps Cayce himself was having trouble with amethysts, because in another life reading for a young woman of fourteen (3806-1), he again recommended amethyst, saying: "In the choice of stones, do wear the amethyst as a pendant about the neck, as a part of the jewelry. This will also work with the colors to control temperament." This time the reports record that her mother wrote a letter two and a half years later stating that "...My daughter has been wearing a large amethyst ring constantly for the past month and there was been absolutely no change in her disposition...." Patience here may be advised. Cayce recommended rubies and pearls several times more, once in a female's life reading (1222-1) in his describing of her seal, but said nothing of it. In another's (1144-2), a female of 46, he recommended two stones, characterizing them as to their effect from a past life's flag or emblem of the king of the time, saying "the ruby and the pearl. For these have their influences; the purity of the pearl, though under stress it may come into being; the valor and the strength that is imparted in the inner influence of the ruby about the body." These seem fairly commonsensical, but Cayce did spell out why he recommended pearls. In the case of a woman's life reading (951-4) he explained, "The pearl should be worn upon the body, or against the flesh of the body; for its vibrations are healing, as well as creative--because of the very irritation as produced same, as a defence [sic] in the mollusk that produced same." 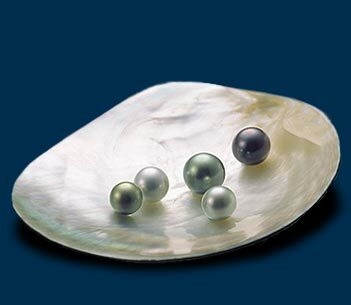 The reasoning here is analogical--the pearl has "vibrations" similar to those in the forming of the pearl. In a follow-up reading (951-6) she asked a question about a pearl necklace she was wearing, whether it was working or hindering. He answered: "When its vibrations have taken the body-forces, it will be well. Or if the body would demagnetize the necklace as it is, it would be more helpful for the body." He concluded that the pearls needed to be demagnetized. Another female's life reading (3374-1) resulted in Cayce answering her question about what stones to wear. He answered: "The stone--the pearl should be worn close to the body; not as an ornament, but rather as that which gives strength to the body." Continuing with Cayce's pearl recommendations, a male's life reading (2533-1), Cayce commented: "Thus the entity should ever keep a pearl about the self or upon the person, not only for the material vibration but for the ideal expression. For, it will be an omen--not only because of the vibrations that it may give to self but because of keeping the even temperament, yea the temper itself." Later in the reading, in a past life, he found that the person owned a large collection of pearls from the Persian Gulf, and thus again recommends pearls because "in its formation, in its beauty, the hardships overcome by the very source that made the beauty of the stone itself." Finally, in the question section of the reading, to a question about what hobbies he should take up, Cayce recommended "the study of stones" and recommending that he would "gain by keeping a pearl close about thy body." In a reading for an older woman (1847-1) Cayce recommended pearls and diamonds as "the stones that bring the vibratory reactions and the experiences in the environs of the entity." As recorded in the reports to this reading, we find that Mary Ann Woodward, on behalf of the ARE, wrote this woman to find out whether her reading about the stones had any beneficial effect. She wrote back: "I am sorry you wrote me your letter of August 19th, for if I answer it truthfully, as I must, you are going to get hurt. I have considerable curiosity as to the workings of the human mind, and when I found that my friends were interested in Mr. Edgar Cayce, I sent to him for a 'life reading', and it seemed to me an inextricable confusion of the intuitional and the delusional...As far as I am concerned, what you write about vibrations is merely gibberish. It happens that I like white stones, but I definitely prefer opals to pearls." Expanding into pearl and moonstone, we find a life reading for a forty-nine year old woman (1037-1), where characteristically Cayce considered the"influences" about the person from prior past life experiences, and thus, "From those experiences we find that omens arise. Not that they influence but create by their VIBRATION an element through which the MENTAL and the spiritual forces of the entity may vibrate for constructive experience in their activity." He immediately recommends "The pearl and the moonstone, these in combination or in their setting alone, are well to have about the body." He recommended moonstones alone for several people, including a forty-four year old woman in a life reading, saying, "In the material things--wear as an ornament, preferably a ring, the moonstone." He also recommended "the activities of all the influences of metals, especially about thee" and concluded, "Their vibrations are in accord with that to keep thy animation in accord with the best though mayest accomplish." For another life reading for a woman of thirty (5125-1), he elaborated more fully on his theory of stones. In the part of the reading pertaining to past lives, he found that she had lived in Arkansas and had panned for gold and she had found diamonds. He continues that she not wear "a great deal of jewelry" but urged her to "wear the moonstone close to your body, or on your body." In this instance, he recommends the moonstone because it harmonizes with her former lifetime: "It will give strength and it will keep that which is nearest to you closer to you." But then he elaborates on the underlying mechanism of its effects: "Not as an omen but as a part of your mental and spiritual consciousness. Have same as a chain, or upon a chain, about your neck; not as an ornament, but rather as a helpmeet, as an urge, as a vibration that will be most helpful--as it was in the experience in that land as Margaret Fitzhugh." Sometimes it is rewarding to have positive feedback in the voluminous records the Cayce people kept of their patrons. In 1942 Cayce made a life reading for an eleven year old young woman, and made a short answer to a question about a special stone for her. He said, "Stones,--those of the yellow tint or nature would be better." He reveals that the stones of yellow tint "bring the vibrations for more harmonious influence in one who is especially influenced in Merdepj?, Venus, and Mars." In this instance, the woman responded to Mary Ann Woodward's request for feedback on her use of such a stone by writing in 1946: "I have been wearing one since June, and I can feel a definite effect the moment I put it on and I feel much happier and everything seems to work better for me all the time I am wearing it. I am just sorry I did not get it sooner, and I hope I never have to be without one." Cayce recommended stones related to past lives, as we have already noticed. For a ten year old male in a life reading (1719-1), he found that in an Egyptian past life, the boy was a person of power and position, relating "to the various manners of expression of praise in music, in art, and ESPECIALLY in that of placing of stones". The records indicate, in an letter in 1976, that the person did not agree with the Cayce reading, saying "The reading also implies that I am drawn toward precious stones. I am not aware of this. I own no jewelry nor do I have any desire to own any." This is strange since Cayce emphasized the ESPECIALLY in his reading, and concluded in his reading: "In the present, the innate desire to feel precious stones, to compare same, to watch the change in the color in same, is seen from THIS experience." The two could not be farther apart! Cayce continued, "These will make for much JUDGMENT to the entity, and the beryl and scarab should be a portion of the entity's dress, EVER; either worn as the amulet, the ring, or such, will make for a safety in the entity's present experience." Perhaps he was too young for such recommendations. Cayce's source occasionally made a single reference to a stone, such as in a life reading for a woman of sixty-one (688-2). In this instance, he recommended that the person "have the stones or minerals about self when in periods of meditation...the chrysolite or the amethyst." 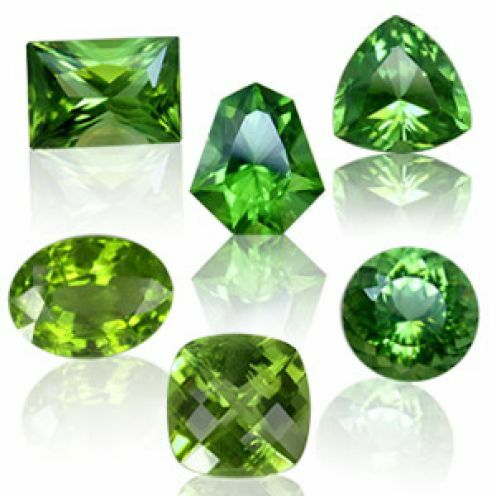 Chrysolite is the older term for peridot, a yellowish green stone. One wonders where Cayce acquired such terms for stones, a matter which will arise later in the discussion of the lapis family readings. But he did not justify the peridot and said of the amethyst only that the person should have purple always close to her body. Interestingly, he rarely recommended quartz crystal, linking it to "any white stone" in a life reading for a sixteen year young man (2285-1), while New Agers adore quartz of all kinds. Cayce found that "As to the elemental influences having to do with the entity's experience,--we find that the crystal as a stone, or any white stone, has a helpful influence--if carried about the body." There is also a letter from this man six years later. He reported that he did carry a clear crystal, and it gave him pleasure, but he continued: "I must assert that I have never been able to detect any particular influence, beneficial or detrimental, that can be traced to the presence of that stone on my being." Pure pleasure over a stone apparently in this instance contrasts with some esoteric effects that this person may have anticipated. Cayce's source did recommend other substances, metals, coal, ivory, coral, radium and uranium, even a stone made of soya bean. However, I would be remiss not to comment on the most mysterious stones he recommended many times, those he called "of the family of lapis lazuli." There has been more confusion about this family than any of the other stones Cayce recommended, even to the point that several commentators consider their identities deliberately obscured to the public; for instance, Fay Clark (in Healing Stones , pp. 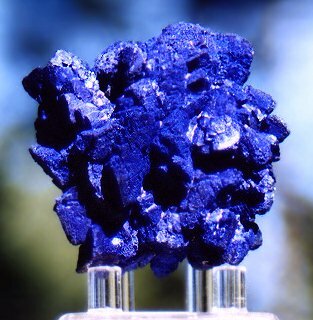 62-72) claims that Cayce himself "positively suggests that the properties of azurite were a closely guarded secret since the times of antiquity...perhaps...destined to remain so, since those finding and recognizing them are reluctant to reveal them..." (p. 72). And Ken Carley, in his revision of the original Cayce publication on stones, has added an eight page article on "lapis lazuli" (pp. 66-73), in which he asserts: "If I allow any special knowledge of stones to remain hidden and do not attempt to 'lift the veil,' I feel that I would be missing the mark. I believe the time is at hand to make known, as best we can, what is disguised..." (p. 67). The question to be answered concerning Cayce's many readings mentioning this mysterious lapis family is whether he was trying to hide its identity, which I doubt, or whether he was himself unsure of its nature. We must remember that Cayce did not, as far as I know, have specialized training in gemstones or extensive knowledge of them from other sources. I assume that he received information in his deep mind state. He was in a revelatory mode of knowledge acquisition, and he himself was sometimes surprised at what he said. Several times in the stones readings neither Cayce nor the person for whom he was reading knew the meaning of the stone he recommended, especially in this lapis series. For the rest of this paper, I will try to untangle the many references Cayce made to the lapis lazuli family. In the life reading for a woman of forty-nine (813-1), he said, "And not as an omen, but for its greater vibration, the entity should have upon its body at all periods the blue-green chalcedony." This woman wrote to Cayce several months later, saying, "In my Life Reading which you gave me in February I was instructed to wear a blue-green chalcedony stone for greater vibration. Well, there doesn't seem to [be] such a stone! The Zodiac Jewelry Company of New York who specialize in birth stones, charms, etc. advise me that chalcedony means blue and is a blue stone, that there is no such thing as a blue-green chalcedony. So now what do I do?" Again I must say that keeping such records as the Cayce foundation did can be of great help in interpreting these matters, as is demonstrated in this letter and Cayce's response. He wrote back to her several days later, saying, "Now, about the stone you should wear, I don't know what to say. The Reading must have meant something definite when it said blue-green chalcedony. At the next opportunity, where we have a reading in which it would be permissible, we will ask just what this is and where it may be obtained, and under what name." As far as I know this did not happen as there is no other occurrence of that term in the entire CD-Rom record (which one can search endlessly and completely with the SONAR for Cayce on the disk). The proper identification for this blue-green chalcedony is chrysocolla, a basic copper silicate "used as a gemstone when mixed with chalcedony ...color: green, bluish-green, and blue" according to Barry Krause's Mineral Collector's Handbook (New York: Sterling Publishing Co, 1996, p. 159). June Culp Zeitner, in her Gem and Lapidary Materials for Cutters, Collectors, and Jewelers (Tucson: Geoscience Press, 1996) states: "One of the most sensational of all the chalcedonies is that which is colored a vibrant electric blue, greenish blue, or blue-green by the copper mineral chrysocolla. It is also a gem material so little known that sometimes even experienced lapidaries think it is an opaque mixture of blue and green copper minerals..." (p. 117). In the reading where Cayce's source recommended blue-green chalcedony he must have been in a state of deepened revelatory transcendence to identify a stone without a source document to prepare himself, an identification even experienced lapidaries could not make. In the same letter Cayce continued to comment on the dilemmas he experienced when the "reading" left him with technical terms unknown to him: Your experience with this reminds me of that of a young man [440--a young college student who had many readings from Cayce as we will see below] one of whose readings told him to wear about his person a lapis linguis [I suspect this to be a neologistic archaicism]. We had never heard of such a stone, and neither had the jeweler; but I was with him several months later when we found one [unspecified reference as to what stone this was] in a mine several hundred feet under the ground (which was being operated for other purposes) [for copper extraction] out in Arizona. It was of the family of lapis lazuli. So I hope we will be able to help you find YOUR stone--and not with such great trouble either." This revealing letter tells us that Cayce did not know before hand terms like blue-green chalcedony and "lapis linguis" which appeared in his readings. Furthermore, he refers to this stone as belonging to "the family of lapis lazuli," which means that in this set of terms "lapis lazuli" can be at once the name of a family of stones and/or the designation of a single stone; and perhaps sometimes the terms overlap or Cayce's readings did not sufficiently distinguish them. As often was true in his readings, he used archaicisms, a characteristic of revelatory language in general. Remember too he knew the Judeo-Christian Bible very well, and at least in one case used a term for a mysterious member of this lapis family, "lapis ligurius," perhaps taken from Exodus 28:19, designating a stone (jacinth or hyacinth) on the third row of the high priest's breastplate. Confusion begins, and abounds from here on, in part because in his readings, Cayce did not differentiate terms relating to the "lapis family" as clearly or as systematically as could be. Given that Cayce called this "a family," we need to take the terms he used and identify them. The candidates for inclusion in this family and their possible identities in ordinary gemstone language are: lazurite (often called lapis lazuli), azurite, chrysocolla, malachite, and for the last three, these can be mixed in one formation or another. Lazurite is entirely different in composition from the other three and as "lapis lazuli," the popular designation of lazurite, would not be found in Arizona. On the other hand, azurite, chrysocolla, and malachite often mix, coming from the same source, copper ore. Azurite and malachite are carbonates, and chrysocolla is a silicate, and thus they form in different areas of copper deposits. In addition, chrysocolla occurs in a soft form not useful for gemstone use, but mixed with chalcedony quartz it comes to a hardness near seven and is useful as a gemstone. Azurite, (deep blue) malachite (light green) and chrysocolla (blue-green) can mix together in one stone (fairly rare), and additionally mixed with cuprite, shattukite, tenorite, and a high copper content. Given this, it may not be too difficult to see that Cayce and those for whom he read may not have immediately understood his esoteric designations of these mixes of copper ore, particularly in the 1930's and 1940's. Lapis lazuli (literally "the blue stone") is Cayce's name for the family of these blue (to blue-green and green) stones, including perhaps lazurite. The term lapis lazuli is today the popular designation of lazurite, a silicate of sodium, calcium, aluminum, with sulfur, not a mineral but a rock formation consisting of lazurite, and calcite, as well as with pyrite, not actually a metal but having a high iron content. It comes from Badakhshan, Afghanistan, California, Colorado, and Chile; Russian lazurite also can come occasionally with platinum. I doubt that Cayce ever recommended lazurite. This is not unusual, although the ARE publication's second edition still considers that Cayce recommended lazurite ten times. 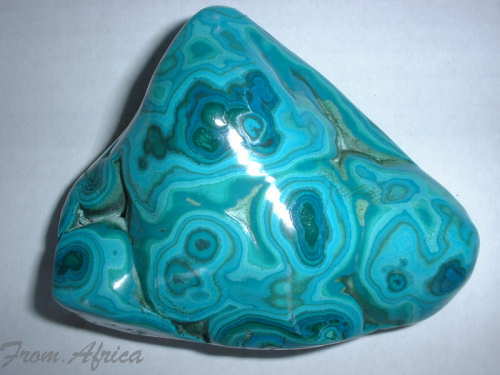 Another popular stone, turquoise, similar in color to Cayce's "family" was only mentioned once in any of his readings, for an eight year old girl (608-7, in 1926.) In respect to both of these stones, Cayce's almost complete disregard for both lazurite and turquoise leads me to believe that all of Cayce's references to the lapis lazuli family pertained to azurite, malachite, and chrysocolla. For one, pyrite has a high iron content, quite unlike Cayce's many recommendations for copper content stones--his true lapis lazuli family. The content of pyrite in true lazurite is about equivalent to the copper in this lapis family. I conclude, then, that Cayce's source was recommending the lapis family to consist in azurite, malachite, and chrysocolla only. It makes sense because they all three derive from the same source, something that Cayce even journeyed to find, as we will soon see. Because Cayce referred to the stones of this family, it is essential to identify by the names he gave them the distinctions among the three. As far as I can figure, Cayce overwhelmingly recommended azurite, leaving chrysocolla and malachite a distinct minority in very few recommendations (at least as clues from within the readings will allow us to identify). This will come clear as we work through the many references in his readings on these stones. We have already found that Cayce recommended blue-green chalcedony or chrysocolla once. Basing my opinion on the fact that Cayce clearly specified that he referred to a green stone, neither blue-green (chrysocolla) nor blue (azurite,) I consider that he recommended malachite twice. If this case can be made, and no other differentiating characteristics are contained in the readings, I will conclude that all the rest of the recommendations in the lapis lazuli family are azurite. From the number of times this stone comes up and because of its "psychic" nature, this stone must be preeminent in the family readings, under various names, including lapis lazuli, lapis linguis, and the lapis. But the case must be made that what Cayce called lapis ligurius was technically malachite. The first mention of lapis ligurius came in the reading for a young man of nineteen (1931-1), on June 23, 1939, in which Cayce said, "As to the material inclinations,--we find things that become what might be termed as omens. Not that these should be merely considered as good luck stones that the entity should wear about self often, or most always,--but the lapis ligurius [?] (sic) would bring much that will act in that manner as would be termed a PROTECTIVE influence, if kept about the entity. This is the green stone, you see,-- the crystallization of copper and those influences that are creative within themselves." Of note in this reading is the identification of the stone as lapis ligurius (even though the stenographer wonders what this is or how to spell it), and it identifies the color of the stone to be green which leads me to consider it to be malachite (or predominately so, as malachite is often mixed with azurite and only rarely with chrysocolla). 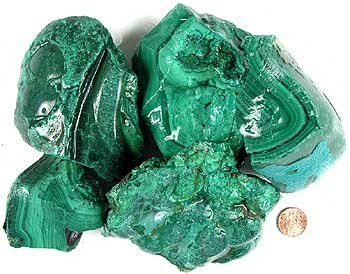 For this person Cayce recommends malachite for protection. He picks up the theme several paragraphs later, saying, "For, as indicated from the influence of the lapis ligurius, there is the need for not only the copper ore, that is a part of man's OWN development in many fields, but the need for the very combination of its elements as PROTECTION to not only the material benefits but the bodily forces necessary for the transmission of benefits through its own physical being. For, the very elements of body--through which spirit and mind manifest--are atomic in the nature. Hence so are the elements of this stone indicates, that partakes of most of the elements that are to man of great influence or power, because of their representations in the body." This reading is also of interest because this person sought out the help of a Mr. Green of the Gem Exchange in Lake Bluff, Illinois, writing to say that he "is still trying to locate lapis ligurius but has yet had no luck. The names given in the Readings are in the language of a century ago, says Mr. Green, and it is difficult to find them in modern books. However, he is still trying. The stone I am looking for is GREEN instead of the blue lapis according to the readings." Later, in 1931, he wrote back to Mary Ann Woodward, when she requested feedback, to the effect that he had mailed to Green "many kinds of copper ore, all lapis, for which I am grateful. I feel sure that lapis ligurius must be among the many specimens that I know (now) possess...I carry a small piece of each ore on my person at all times..." Obviously the recipient of these stones did not know which of Cayce's terms to apply to the copper ores sent to him. In a follow-up reading (1931-2) this man asked the question, "Is the stone which I found in Alaska last summer the lapis linguis?" The answer Cayce gave has several variants of this term, making it all the more difficult to identify the stone. The answer goes, "(A) Lapis linguis [GD's note: My sp. EC spelled l-i-n-g-u-a, in re stones, so linguis [?] must be the singular. ], lapis lazuli. This as we find might be said to be a part of that same composition referred to; for it carries that vibration which will give strength to the body. Well that this be preserved between thin layers of glass or such compositions, else its radiation is too great." In this reading, three candidates present themselves: (1) lapis linguis; (2) Gladys Davis' emendation to lingua, based on Cayce's sleep spelling; and (3) lapis lazuli! A hermeneutic dilemma we must deal with anon is Cayce's occasional pairing of lapis linguis and lapis lazuli. One hint might be Cayce's recommendation that the stone "be preserved between thin layers of glass or such compositions, else its radiation is too great." This occurs many times in Cayce's descriptions of how to prepare azurite. One might also question the source of azurite or malachite in Alaska here, unless it was bought in a shop. In his next reading (1931-3), nothing much was clarified, in this question and answer: "(Q) Where may I find the stone lapis lazuli or lapis linguis? (A) This is an exuding of copper. Either in the copper mines of the southwest, or about Superior, or in Montana." Geographically, this is indeed more likely, especially the southwest regions like Bisbee, Arizona. And apparently too, the questioner does not distinguish lapis lazuli from lapis linguis. A second mention of green lapis lazuli (= malachite) came in answer to a person's question (woman, thirty-nine, 3416-1, November 23, 1943) when she asked about her colors, stone, odors and musical notes. Cayce answered: "The lapis lazuli, worn close to the body would be well for the general health of the body--and this you will have to be careful of very soon. The lapis lazuli, of course, [!--my astonishment] is an erosion of copper; but this encased in a glass and worn about the body would be well. The color is green. Hence the entity should ever be as a healing influence to others when it comers about them." This recommendation has two important features. First, it calls lapis lazuli green again, so it cannot be azurite, and secondly, Cayce calls the virtue of this malachite to have "a healing influence to others" while he identified azurite with psychic or spiritual matters. This I accept two identifications in the lapis family as malachite. The rest is simple. Unless we can find compelling reasons in the readings, all the remaining designated references--lapis, lapis lazuli, lapis linguis--all mean azurite. What remains is an avalanche of recommendations for azurite, primarily for psychic and spiritual matters. Unfortunately, this is the most difficult part of the stones readings because Cayce's source did not settle on one singular name for azurite, the preeminent member of his family of lapis lazuli stones. We need to invoke some sort of hermeneutic procedure to dispel the confusions generated by Cayce's own readings, by Gladys Davis, by his clients, and various other individuals, lapidaries, correspondents and Mary Ann Woodward, who tried to respond to confused advisees. The person who had more experience with Cayce and the lapis family is the recipient of the 440 series of readings. A young man of twenty-three, student, electrical engineer, with a Christian background and parents also interested in things psychic, he first obtained a life reading (440-1 on the fourteenth of November, 1933) which said nothing about stones. However, during the question session at the end of the reading, he first asked how to keep in touch with his highest psychic powers, and the second question concerned electrical forces and vibrations. This series continues until the twenty-fifth day of September, 1936 (a reading about business matters). What is of greatest interest to this essay is the many mentions of lapis and activities which took Cayce and his young questioner even to Arizona to seek out the elusive identity of the "lapis lazuli family." Now we can use this series as a means of identifying as completely as possible the stone or stones which they both sought. It all started when, in his second reading on his physical nature (440-2, December 13, 1933), the following interchange opened up the matter at hand in a series of questions and answers at the end of the reading. Question 43: "Do you advise a trip to Arizona this winter? (A) Be very good, and especially if you'll seek some of these stones that may be found in some of these portions; for this country is full of those things in which the body is interested in these directions. Lapis lingua [?]." This weighty question mark must be Gladys Davis's incredulity at the introduction of another stone designation in the lapis family, a term never clarified sufficiently in any reading. So we begin on thin ice. In the next question, Cayce recommends he go to Arizona in February and March, and the client asks the question we all want answered: Question 45: "(Q) To what stones do you refer? (A) The Lapis Lingua [?] It's blue!" The only blue stone of this stripe, available in Arizona (also Utah, Namibia, Mexico, often mixed with cuprite, shattuckite, etc, and Chile) is azurite. Then the young man asked, "Of what value is it?" Cayce's answer identifies the azurite's attunement value: "Of particular value to those who are interested in things psychic!" And then vaguely, he continued, "Read what was in the first effort that was made, as to all those that used the stones as settings to induce the influences from without that would aid an individual in its contact with the higher sources of activity! [Ex. 28:15-30 Urim & Thummim]" Gladys Davis related this little bit of elusive suggestion to the Exodus passages of the mysteries, so we must continue unabated. In any case, this started 440's search for the lapis lingua. In the next reading, 440 received new instructions from Cayce about the lapis. During the question period, he first asked: "Having recommended a stay in Arizona this winter, suggest the most suitable place for the periods mentioned." Cayce answered, in part: "Either Phoenix or Prescott, particularly if there is to be the seeking for the indicated conditions in the country. Phoenix, and north and west from there, at not great distances, may be found two or three deposits of the lapis that may be found to be most beneficial in many of the experimentations in which the body is particularly interested." This is a pretty good rundown, since north of Phoenix, at Jerome, is a large copper mine, and not west, but east, at Globe, is an azurite location. But Cayce's source did not say Bisbee, which he must have found out about later, as we will see. Cayce continued, after recommending that 440 not go searching for gold or more precious gems, saying, "For, lapis is not considered a high quality of gem; rather a very low form, but for that indicated in the character of the stone itself, it would be most helpful in creating that vibration which will make for developments of certain characters of demonstrations with any psychic forces or psychic individuals." Immediately following this, Cayce directed 440 to go to the New York Museum of Natural History to listen to a stone (presumably azurite, as we see below): "This may be--will be--a very interesting experiment for the body. Go to the New York Museum of Natural History. Sit by a large quantity of this type of stone and listen at it sing! Do it in the open! Don't let others make a fool of you, or their remarks overcome you--but sit by it and listen at it sing; for it does! It's from Arizona." Later, we will take up this episode bringing it to conclusion. Then 440 asked Cayce to describe these stones (notice plural), but Cayce curtly replied, "Go and look at them in the museum!" Then, Cayce recommended how to set the cut stones, "As pendant, either on wrist and worn on body or around the waist." Finally, 440 asked, "What results may we expect from such setting and cutting?" Cayce answered, rather curtly, "Now we are going backwards from what we have given! These, as indicated, are not the channels to be relied upon except in creating the atmosphere. The same thing may be done with an oak tree, or with a persimmon tree--but the activities that come about are because of the emanations thrown off from the stones themselves to the active forces in the body itself!" Cayce chides 440 leading him to see the subtlety of "emanations" rather than to promise something only 440 could do. ton block of azurite-malachite 5 feet tall from the Copper Queen Mine in Bisbee, Arizona." This probably is the piece to which Cayce directed 440. He called it a "large blue stone. It weighs nearly a ton and has many facets, in the manner in which it was removed from the mines; is from Arizona, and the color necessary for use as instructed--may be seen by stooping below or getting the light through a portion of the upper part, though--to be sure--it's very much thicker than would be necessary for use. It's there! Not lapis linguis, but LAPIS." In this passage Cayce allows both lapis for azurite, lapis lingua for malachite, and lapis linguis must be in this instance crysocolla, not present in this stone. In another question, 440 asked, "From what place in Arizona is it listed as having come from?" Cayce's answer was "nearer Tucson"--indeed as Bisbee is. As there is in the mind of the body,  confusions respecting lapis and lapis linguis--it has been given the lapis linguis is that name which was implied [applied?] to touchstones, or those used by initiates in their various ceremonial activities, and hence gained for themselves through those forces that are seen, as indicated, that they adhere to the activities of those bodies or associations in such a way and manner (the stones, see?) that those that are of a psychic turn may hear the emanations as retained or thrown off by influences about such stones. They are of semi-gem or semi-value to those for other than decorative or for those that have not as yet comprehended, or there has not been admitted by certain fields of activity the value of such stones in relationships to such conditions for those that are not gifted or those that are not so sensitive as to be able to hear those vibrations giving off, or the singing or talking stones--as they have called in places. Yet, as has been indicated for this body, there should be--there is--the ability within this body, , we are speaking of, to hear the singing or the movements, much as in the same way and manner as was given or is given to any if they will listen for days at a growing tree, or as was accredited to and as heard by many of those who have so developed in certain portions of this world as to be able to gain much from especially the growing oak, or certain other trees peculiar to those vacinities. So, in this stone lapis. Lapis linguis is that one that has been in use or in touch with those whose vibrations or emanations or auras are of such natures as to have given those vibrations in the nature that any portion of such a stone may give off that which may be heard, see? Apart from the esoteric nature of this discourse, of interest in itself, more importantly, Cayce attempts to straighten out the "confusions respecting lapis and lapis linguis." He concludes, after finishing his discussion on talking stones and even the "growing oak" "So, in this stone lapis" perhaps a reference to the entire lapis family (minus lazurite), following up with lapis linguis as the stone, most probably azurite, from which sensitives like 440 can receive vibrations or emanations or auras. Further questioning Cayce in the reading, 440 asks about the museum stone: "This stone contains malakite [sic] and azurite. Is the lapis linguis either of these?" Cayce answered azurite, an additional confirmation that he usually designated azurite in the terms the lapis and lapis linguis. Then, 440 asked, "Where will I find this stone in Arizona?" The answer? "As indicated, about the place as given--in a ranch--a hundred to a hundred and twenty-five miles north to northwest of the place." But more importantly for our quest, he continued: "Many various characters of this lapis may be found in Arizona, as may be of other stones in the same vacinity of a semi-precious value or nature, but those that are of a greater value as the touchstones or those that may receive (we are putting it in another form or manner) a blessing and transmit same to another, or a curse and transmit same to another, will be found in the nature where the greater portion of the azurite is evidenced in the immediate vicinity." By mentioning the "many various characters of this lapis" he recognizes the varieties of the lapis/azurite family--azurite, malachite, and chrysocolla. But 440's next question creates another problem. The question: "How will I know when I have found this stone that is most useful for my purposes?" Answer: "When there is found that which is sufficiently clear for the transmission of light and that which may be held in the hand for five to ten minutes and then set aside and listening to hear the movements or the vibrations given off from the emanations from self." Then, 440 asked, "Should it be translucent to light?" "Should be transparent, or sufficient for the light to pass through." Unfortunately, it is fairly rare to find azurite that is translucent or transparent. One would only rarely find crystals of azurite that would allow light to pass through. Finally, by the sixteeenth day of Feburary, 1934, Cayce gave a reading for 440 and himself, since they had decided to drive to Arizona to search for this lodestone. They left on the twenty-seventh day of February, 1934, with Gladys Davis driving to Selma, Alabama, to visit her family, and Cayce returned by train (stopping several times to visit) to Virginia Beach on the thirty-first of March, 1934. This indicates that Cayce and his young advisee considered the search for this lodestone considerably important. He even had advised 440 to make an instrument with which to prospect for the precious lapis. In a letter dated the twenty-sixth of March, 1934, 440 wrote to Cayce from the Seventy Six Ranch Bonita, Arizona), saying, "I have washed the stone carefully and put it into a handkerchief washed with equal care. Last night, I think for the first time I began to hear it." In a subsequent letter, though, he wrote, "The vibrations in the stone are becoming stronger every day but as yet I am unable to hear them." When I left you at Douglas there was a young lady sitting in the seat just opposite me, not more than nineteen or twenty years old--and, of course, I felt she was most too young for me to flirt with (though she cast many glances in my direction, I'll have to admit, and I'm not bragging about that, of course.) Just before we got to El Paso she asked me if she had not seen me in Bisbee the day before; said she thought she saw me with two other men and the mining engineer of the copper mine there. So I told her she was correct. Then she told me she was the daughter of the operating engineer in the mine. I asked her about the azurite and she told me if we really wanted other samples she was very sure that if there was such a thing to be had at all, she would be very glad to get it for us...should you decide you want other samples I would advise the NEXT time you go to Bisbee that you get in touch with the operating engineer (from what she said about the abilities to get the samples or anything that may be had in that mine.) What do you think of that for coincidence? And I might have had a whole afternoon conversation about it, had I not been trying to not appear too forward or what shall I call it. She apparently knows considerable of the history of azurite that we haven't ever had suggested to us. Clearly this letter confirms that Cayce was most interested in azurite despite all the variant terms he used for the other members of the lapis family. The last time 440 asked about stones (twentieth of June, 1934, 440-18), he asked Cayce how these stones work, which resulted in a long explanation about sensitiveness and vibrations. Then 440, being present in the session, presented Cayce (in his deep mind trance) three stones, presumably azurite but not identified explicitly. His question: "Which of the three stones, then, is better suited to my vibrations." Answer: "The one in the center." 440 asked again, "This one?" Cayce answered, "This one." This tells us little. Concluding the inquiry, 440 asked, "Why were these stones mentioned to me in the beginning?" It is the big question, one which has led us far and wide. Cayce responded, "They are as those things of old, which if followed (and the body was seeking at the time for those things) may be used as stepping-stones for the understanding of vibrations as related to the mineral forces and as to man." The final question 440 posed asked about the availability of these stones so precious to his quest, though probably not so much to Cayce. He asked, "Are these as fine specimens of 'lapis lingua' that can be obtained?" Cayce responded, "As fine as may be obtained in the present for the demonstrating of, or for the use in relation to, these very things as given." Cayce's source, in this reading, says that the fine specimens 440 provided to him were the best to be obtained at that time. He made many other readings on azurite, an accounting of which is still to come, but the age when fine azurite has come to be available is only recent. Most of the time, the powerful machines which mine for copper ore in Arizona simply grind up the special deposits of these stones Cayce favored, so that fine rough is still rare. Also, their hardness is fairly low, and can easily be tarnished, and are difficult to cut and handle (chrysocolla chalcedony being harder, and thus the exception). Also, some time back some very fine hard azurite came from a Chilean mine, which now is exhausted. Perhaps today, should Cayce had survived some decades longer, he might have found better examples and more adherents to seek out this special stone in his universe of semi-precious gemstones. Strangely, in his last stone reading (there were only two more, dealing with business, ending the series in September of 1936), 440 used the term lapis lingua, still something of an unknown in the Cayce records. Long before that he had made his first attempt to find the giant piece of azurite/malachite in the museum which Cayce had told him to find. According to the reports of reading 440-3 he wrote to Hugh Lynn Cayce: "I went to the Natural History Museum but could find no trace of a lapis lingua although there were a number of stones enclosed in Case No. 25 of the Morgan Wing with the lapis lazuli." Unfortunately, lapis lingua remains a hapax legomenon in the Cayce readings so it is fairly useless to this hermeneutic. As for the rest of the lapis readings, it appears that Cayce used the lapis term fairly indiscriminately. In 691-1, a woman of thirty-four, for instance, he finds "those things that are more as omens, the various accredited vibrations as in stones, etc., we find having an influence upon the entity. For the entity should ever wear about the body the lapis lazuli or the lapis linguis." This seems to be a disjunctive, naming two stones, but nowhere does Cayce specify any stone other than azurite, except in the specific identifications earlier in this discussion. So we are left without an identification, without a physical identification of the either/or which Cayce intimates. One woman, 1058-1, on the fifteenth of November, 1935, was told, "Hence, as we would find, the wearing of the stone lapis linguis would be as an aid in its meditative periods, and would become as a helpful influence. Not as that of 'lucky,' but rather that as of a helpful influence towards making for the ability to make decisions in dealing with mental attributes." Unfortunately, she wrote in frustration, "I cannot locate the stone 'Lapis Linguis" which I am anxious to possess. There is an expression 'Lapsis Linguis' which means a slip of the tongue (Latin). Somebody said it must be 'Lapis Lazuli' which was used in the Persian and other ancient periods. The vice-president of the leading ---a leading jewel concern has sought this stone for me and a mining student was put to work doing research but could reveal nothing. Can you give me an inkling as to where such a stone may be purchased?" Obviously, there are two languages working here, Cayce's revelatory vocabulary, and the lapidary language current at that time, which is woefully inadequate for Cayce's lapis family. Another reading for a girl of six years, in which 440 was involved, came up with the following on May twenty-fifth, 1934: "The lapis linguis also would bring to the entity much, if it were worn about the body, keeping low the fires of passion--from materiality that there may be greater mental and spiritual development of this entity in the experience." Sometimes Cayce simply used the term lapis, and in others, lapis lazuli, but with identifiers which clearly indicate azurite, and not lazurite, precisely because he specifies their association with copper. These include, "as a pendant of the lapis lazuli or the corrosion of copper" (5294-1), and to a question, what is my stone? he answered: "It is mineral rather than stone [that eliminates lazurite right off] that this entity would find vibrations,--the lapis lazuli, or the rays from copper" (1861-16). And then with just lapis, we have "the lapis or copper in its ELEMENTAL form, bring great passion, intenseness, the abilities to loose emotions through the very centers of the body for the closer association of the spiritual with the activative influences of the mental self" (1580-1). And in a reading on both bloodstone and lapis, he said, "Hence the bloodstone or the lapis, or both, should be as a stone that would be about the body of the entity; not as an omen, not as a symbol; rather that the vibrations of the higher forces from these proper expressions of activities throughout the universal forces in materiality may be an aid or as a strengthening. From one there are the emanations of high electrical forces from its copper base. From the other there are the high electrical vibrations that emanate from its PURENESS of the higher vibration" (816-3). With this last excursion through the most obscure parts of the Cayce stone readings, I must remind my readers that I do not understand everything about these obscure matters in the lapis family. But, even though many find them the most mysterious of the semi-precious gemstones Cayce's source recommended, it remains that most of them are quite well known and enjoyed widely today, even though in Cayce's readings, he really recommended any stone only for specific persons and for specific attunements with their very own person. The joy of reading such a corpus, howsoever small compared to his other revelations, can bring many of us to a greater appreciation perhaps of our own favorite stones.